A basket liner with a set of four acryllic napkin rings in a coordinated design. 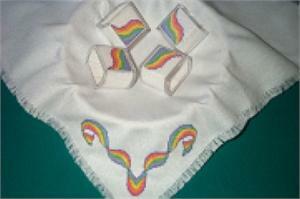 Washable 18" square cloths with cross-stitched design. One-of-a-kind.